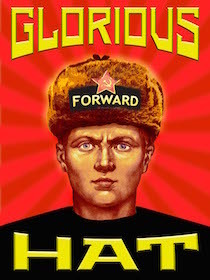 Sorry Libertarians, but I do not like being lied to or misled. Therefore I must comment on this latest interview. I hope to get back to exposing and mocking liberals progressives communists here soon! Would have liked to hear how he would have responded to the MA17 shootdown. Libertarians criticize Dem and Rep actions, but have not yet said what they would do. His reference to Eisenhower, Reagan and Bush Sr. is flawed - they all had a cold war/bipolar world. They didn't have to deal with organized terror networks with access to WMDs. Unlike his father who I promised to never vote for, I will vote for Rand Paul if he becomes the Republican nominee in 2016. My question to Rand's fans: If Rand fails in the primaries, will you vote for the Republican nominee, or run some nameless pot-head under the Libertarian Party like you did in 2012? So here is something I'm not getting from someone who says they lived under commies. What was wrong with Ron Paul? I could quibble with him on a few things, but what was he really wrong about? I don't really care for Rand Paul. I've actually stopped bothering to vote since I don't have that many freedoms anyway. Besides, according to Antony Sutton, the whole commie apparatus was financed by Western financiers. I doubt Putin is a friend, but I don't have any children to sacrifice for any more militarism and I'm kind of tapped out on the tax side of things. I don't care for any drug use, but I could care less how many pot plants are in someone's backyard. I enjoy the humor here, but not all libertarians are what you describe. I don't bother with the major party since they really screwed up nominating Bob Barr sometime ago. And yes, open borders would be a travesty. So when can we exterminate the statist in both parties? I appreciate the comment Sth_Txs. Sorry to hear you are disenfranchised. My rage on Libertarians here is fueled by my shock that people so informed and so loyal to the Constitution choose to pursue a Utopia that will never exist. My reference to drugs is just a friendly dig from someone who has never used drugs. I know not all use drugs, but since all seem anxious to tell me about the failed drug war and the benefits of legalization, I feel compelled to poke fun. Again, thanks for the comment. I'm sure I piss off many, but I'm really trying to either 1) learn what I seem to be missing re: Libertarians, or 2) steer my most enthusiastic fellow Americans towards a more productive political activity.